The young peregrine falcon who was rescued after a crash and recovered at a flight camp has returned to his parents and three siblings at their home on the 5/3 Bank building by the biologists who rescued him. The bird was banded in captivity making it the only one of the siblings with a band. 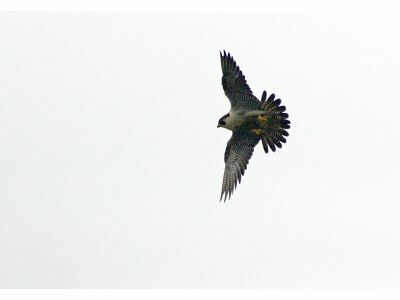 http://www.mlive.com/news/kalamazoo/index.ssf/2014/07/hold_young_falcon_... " target="_blank" class="button">Read the full article here!